2. I bought a ring on eBay and it came in this tiny envelope. Made me laugh that it still had to be posted as a Large. Royal Mail is ridic. 3 and 4. I have become slightly addicted to the Draw Something app on the iPhone. 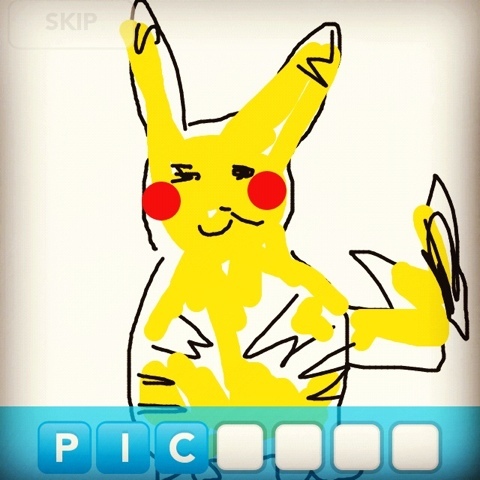 I was quite impressed with my Pikachu drawing :) The tiger is one that a guy I was playing with drew, it really made me laugh! If you'd like to play Draw Something with me, my username is 'francescassandr' (the 'a' wouldn't fit ): ). 6. 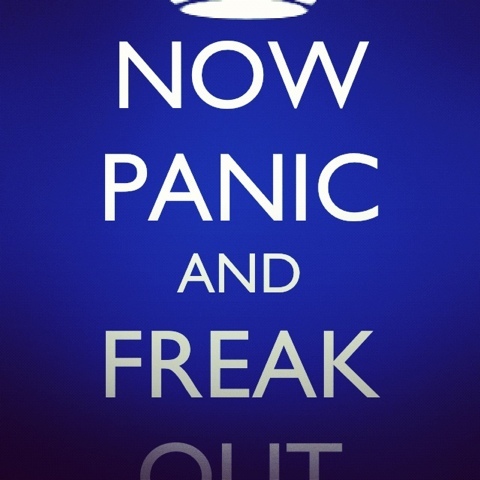 I have a "Keep Calm and Carry On" phone case on my iPhone, so I thought I would match it with this "Now Panic and Freak Out" wallpaper. 7. I started sorting out my make-up storage today and dug up all my nail polishes that were dotted around the house. I didn't realise I had so many! this is a cute idea =) pikachu!